The same lending indiscretion behind the subprime mortgage crisis in 2007 could be reincarnated through a new surge in securities-backed debt. Historically, this risky form of loan was only available to the ultra-wealthy, but financial behemoths are now using it to lure in the average American. There are two basic kinds of loans: secured loans and unsecured loans. Secured loans utilize some form of collateral, making their interest rates lower, while unsecured loans have no collateral and higher rates. Typically, the collateral on a secured loan is some form of relatively stable asset, such as cash savings, real estate, personal property, etc. In the case of securities-backed loans, the collateral is the borrower’s investment assets. That’s what makes them so risky. Since securities-backed loans are secured, their low interest rates are tempting. However, if the market declines, the value on the loan’s collateral falls along with it — causing lenders to go after borrowers with margin calls and new payment demands. Until recently, securities-backed loans were available almost exclusively to wealthy borrowers capable of shouldering this unique kind of risk. But now, brokerages are bringing these potentially treacherous loans to the masses. 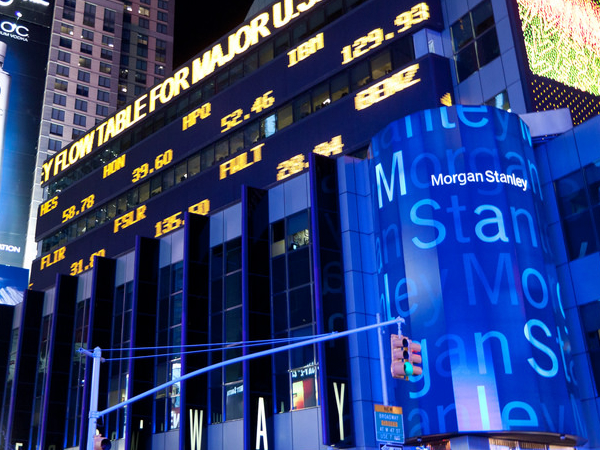 Large financial institutions like Morgan Stanley and Goldman Sachs saw a vast, untapped potential in the consumer market for securities-backed lending. Now they’re taking steps to cash in on it, for better or worse. On Thursday, Goldman Sachs announced a new partnership with Fidelity Investments that will bring access to securities-based loans to an extensive pool of new potential customers. Fidelity’s network of roughly 3,850 wealth managers and brokers will now be able to offer securities-backed loans between $75,000 and $25 million to millions of Americans across the country. Ultimately, brokerages are peddling securities-backed lending for no other reason than to line their pockets, even if it’s at the expense of consumers. As securities-backed lending becomes readily available to millions of new customers, it raises serious concerns about its systemic impact in a stock market downturn. In the past, securities-backed loans were issued in small numbers, and only to supremely wealthy borrowers. Now the door is open for less qualified borrowers to utilize this high-risk form of debt, whether it’s safe or not — a narrative reminiscent of 2007, when lenders looked the other way while individuals borrowed far beyond their means to fund home purchases. If the market falls too much, the borrowers behind this influx of new securities-backed loans could quickly find themselves over a barrel, forced to sell the securities being used as collateral or pay brokerages out of pocket for margin calls. Forced selling of collateral could transform what otherwise would’ve been a minor dip into a major crash. While Wall Street builds another powderkeg of debt that could collapse markets once again, the time is ripe to seek security in a more reliable asset such as physical precious metals.